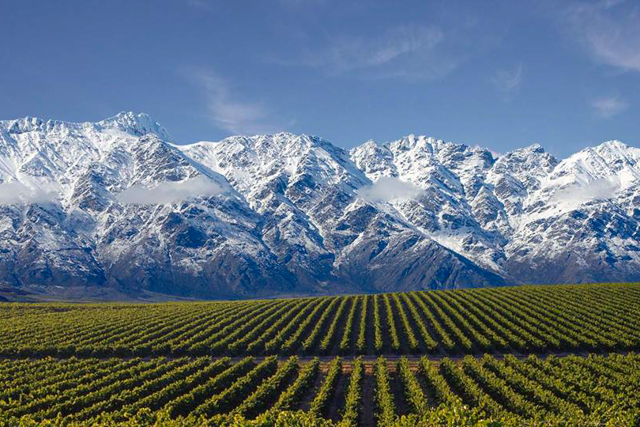 We visit both boutique and large wineries in the region to offer you a comprehensive sample of the region’s best wines. 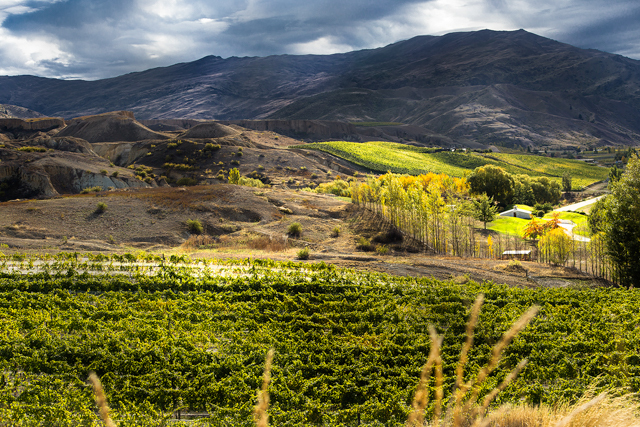 Our unique vineyard tour follows the life of wine from grapes through to the glass, to show you what it takes to make Central Otago’s finest wines. 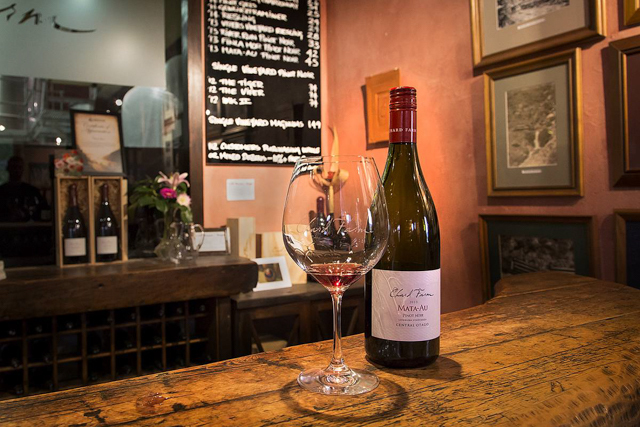 We visit the region’s only Aroma Room where you can experience many sensuous aromas commonly identified in wine. All tours come with lunch, free snacks and access to our onboard WiFi. Our vans are spacious and comfortable, our service is professional and our commitment to your satisfaction is unrivaled. Jake personally guarantees every tour experience, if you are in any way unsatisfied with your tour – Jake will make it right. 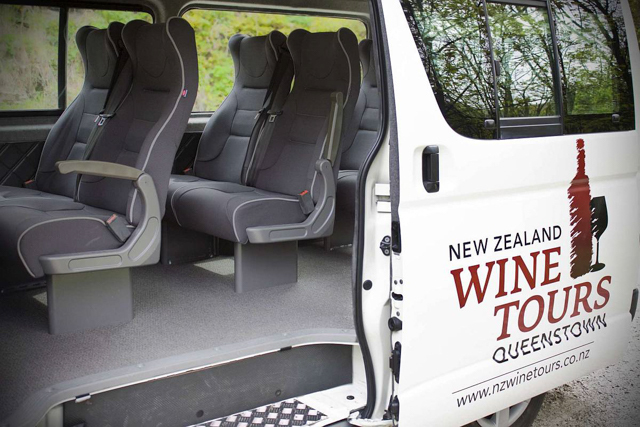 These tours are limited to just 7 people per tour so we can customise the wineries we visit. 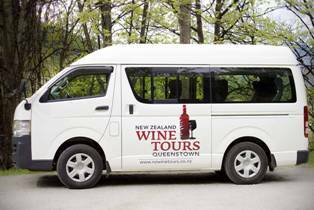 This means every tour is adapted to meet the needs of the people on board and we don’t visit the same wineries every day! 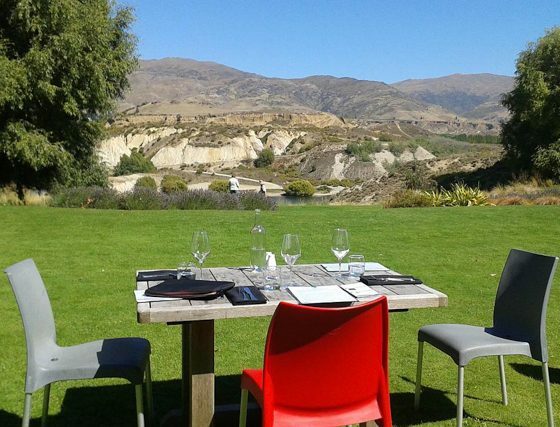 Central Otago is a stunning mountain landscape with many exceptional vistas – we make stops at many of the regions best scenic look-outs and historical hot-spots, including the Crown Range Lookout, the Cromwell Old Town, the Kawarau Bungy Bridge, and Arrowtown’s Historic Town Center – A camera and comfortable shoes are highly recommended! 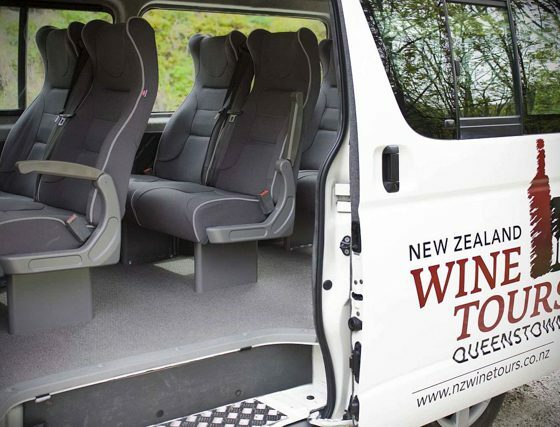 Our Unique Queenstown Wine Tour Options. 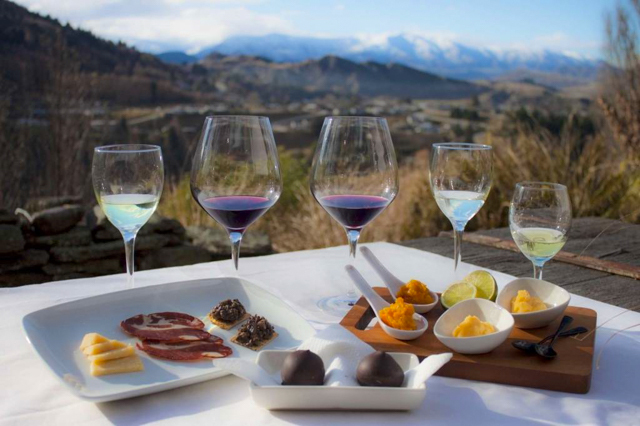 This relaxing wine tour introduces you to the beautiful Central Otago region and the outstanding wines it has to offer. 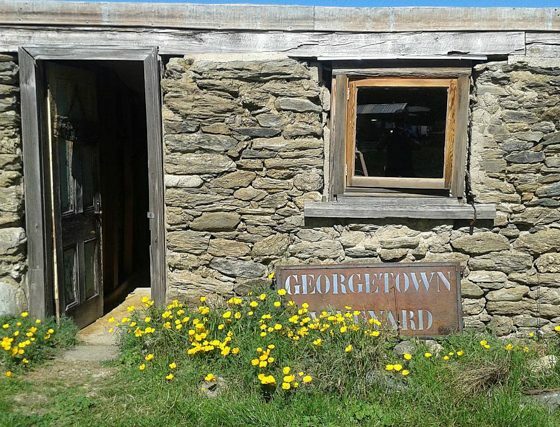 Take in the history of the region as we tour through the stunning mountain landscape of Gibbston Valley and Kawarau Gorge. 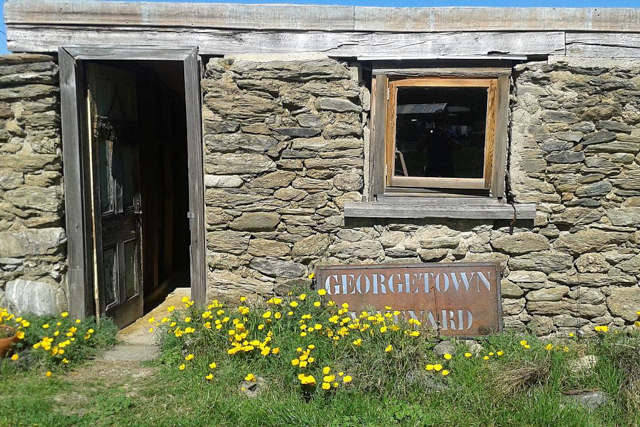 Enjoy a vineyard talk and learn what it takes to make wine in the world’s southernmost wine-growing region. We visit 4 wineries and an Aroma Room on this tour and stop frequently to take in the beautiful mountain vistas at some of the regions finest scenic lookouts. 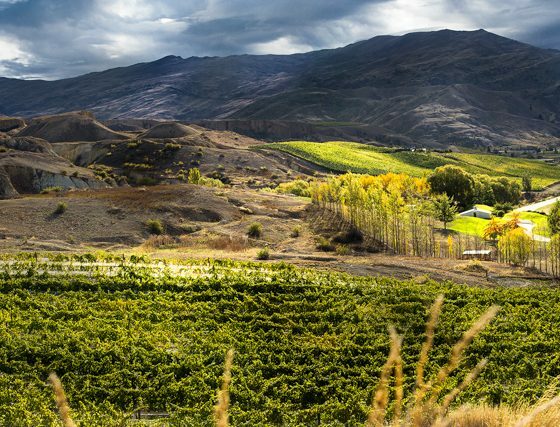 This tour is perfect for anyone who wants to take in the epic mountain landscape and experience why Central Otago is world famous for Pinot Noir. 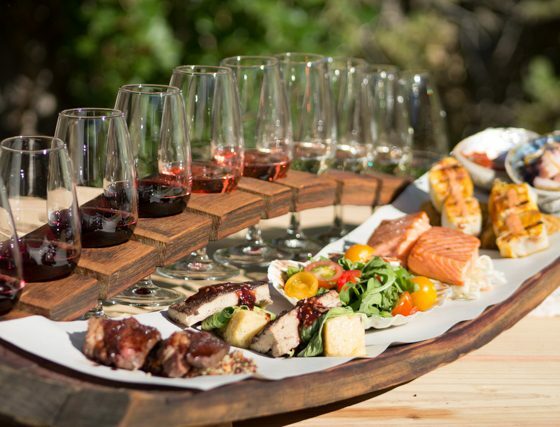 TOUR DETAILS: Visits 4 wineries matched to your tastes, includes many scenic stops, a vineyard talk, a seasonal tasting platter lunch and commentary on the scenery, wines and history of the region. 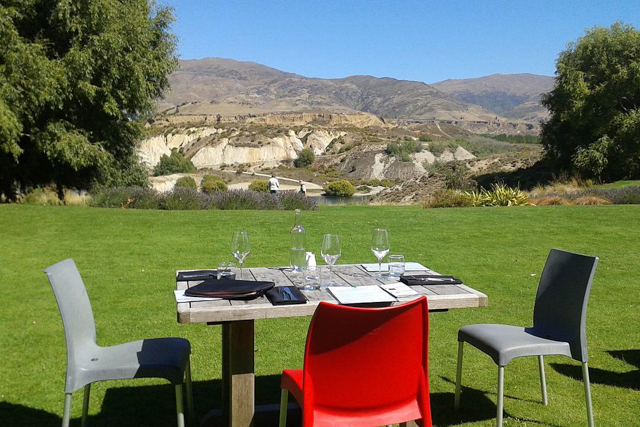 Restaurant located at the historic Kawarau Goldfields. 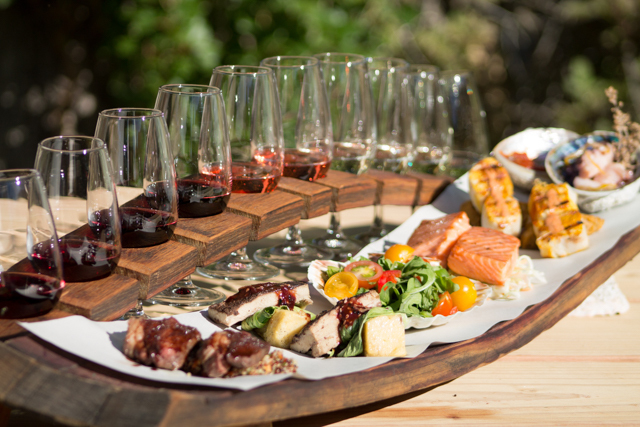 There you will enjoy a tasting array of five dishes that have been cooked in a wine barrel BBQ, matched to five wines. 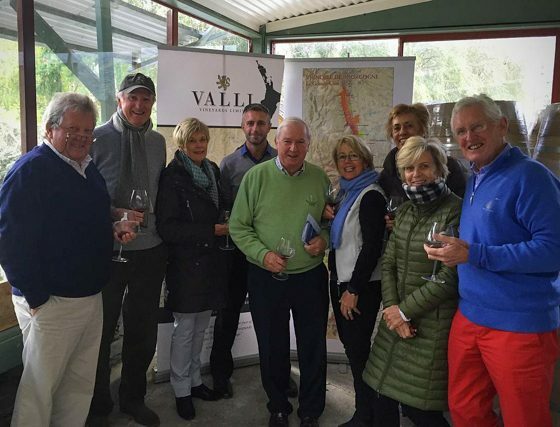 After lunch the tour continues through to the Cromwell Basin and Bannockburn where we visit 2 more wineries, chosen on the day to suit your tastes. 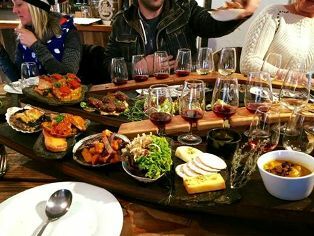 TOUR DETAILS: Visits 4 wineries, includes a degustation lunch and a bespoke food and wine pairing. 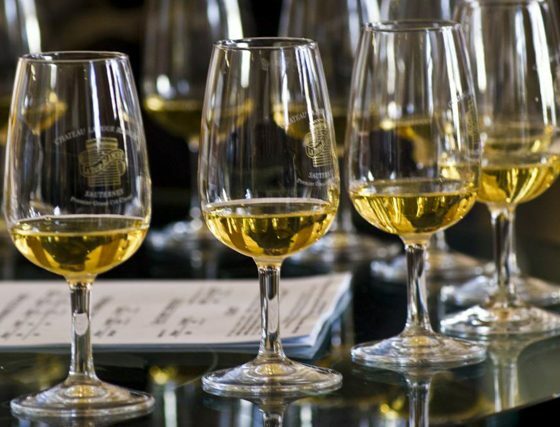 The Sensory Immersion Tour is the world’s first multi-sensory wine pairing experience – this one-of-a-kind-tour reimagines the well-known food and wine pairing with music, sounds, colour, texture, scent and more. 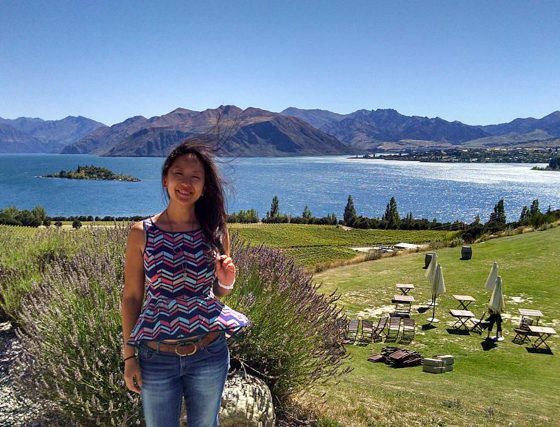 Based on the latest cutting-edge research in food science and sensory experience, this exclusive NZ Wine Tours-designed immersive tasting engages all 5 senses (aided by 12+ pairings w/ Central Otago’s finest wines) to explore how each sense affects the way we perceive wine and flavours – all in the privacy of The Aroma Room. 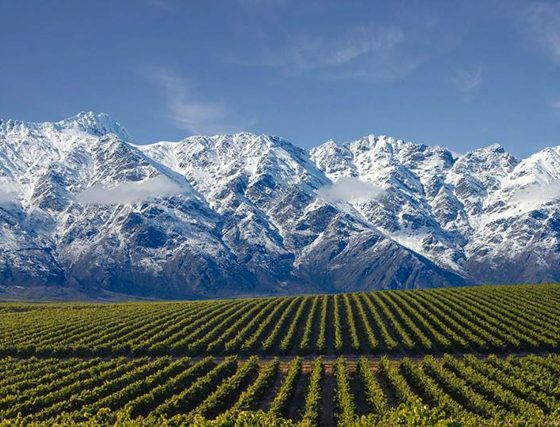 This bespoke session will be followed by an a-la-carte lunch with wine at Mt Difficulty winery restaurant, where you will dine amongst the rugged beauty of Bannockburn’s mountainous vistas. 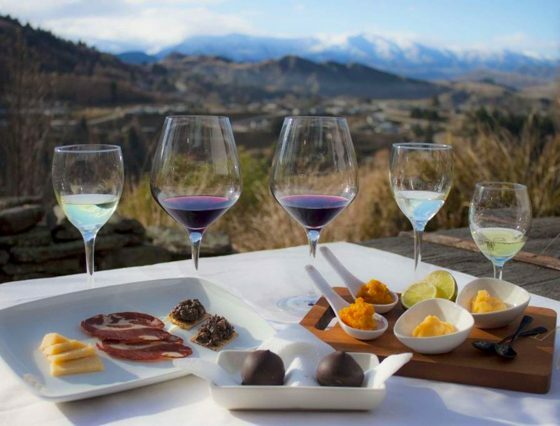 Your day will conclude with visits to two more wineries, chosen on the day to suit your tastes, and a lovely scenic drive through the Kawarau Gorge back to Queenstown. 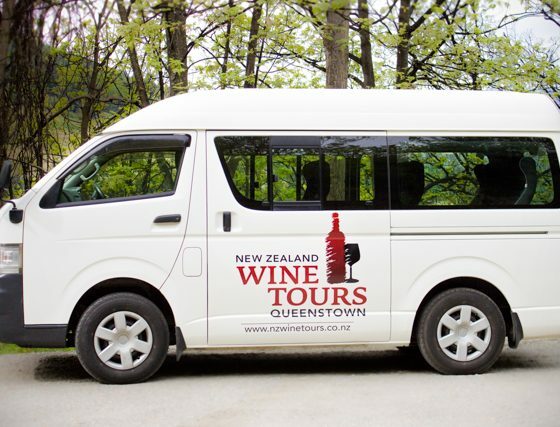 TOUR DETAILS: Sight-seeing and Wine tour – Includes a scenic drive over the epic Crown Range mountains stopping at multiple scenic lookouts and historical places. 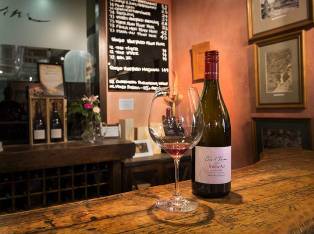 Visits 3 wineries and includes a a-la-carte lunch at Mt. Difficulty. 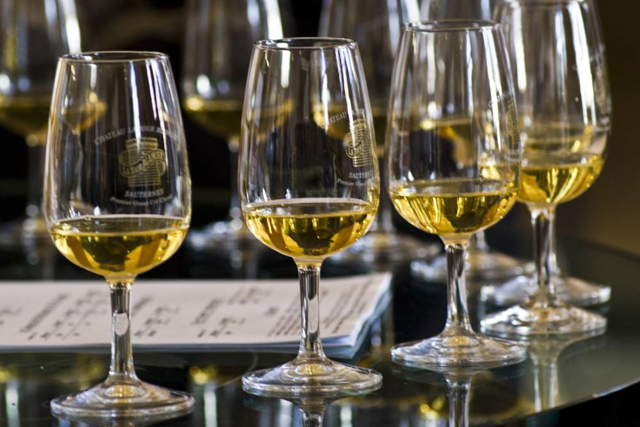 Only the best wine tours deserve the Reserve label and this private tour has it all. 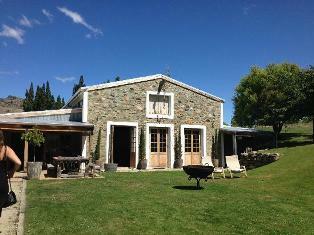 Private tastings at some of the finest wineries in the region plus an a-la-carte lunch with wine. 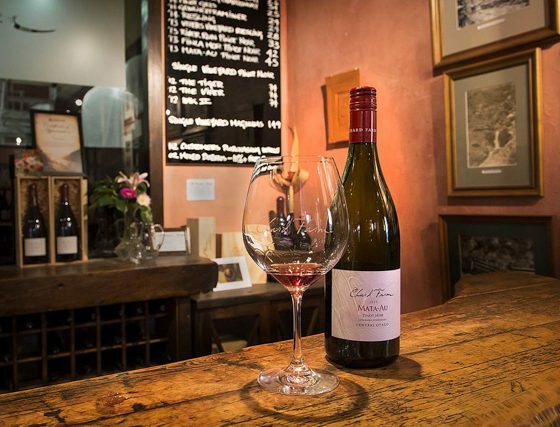 You can meet winemakers and sample the region’s best wines. 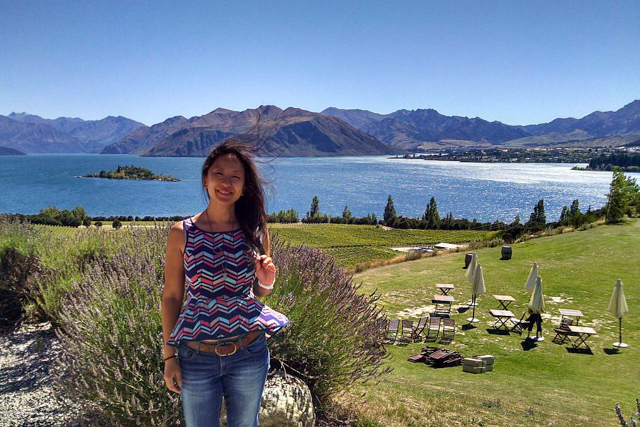 Optional stops include an art gallery, scenic lookouts, and the historic Old Town in Cromwell. 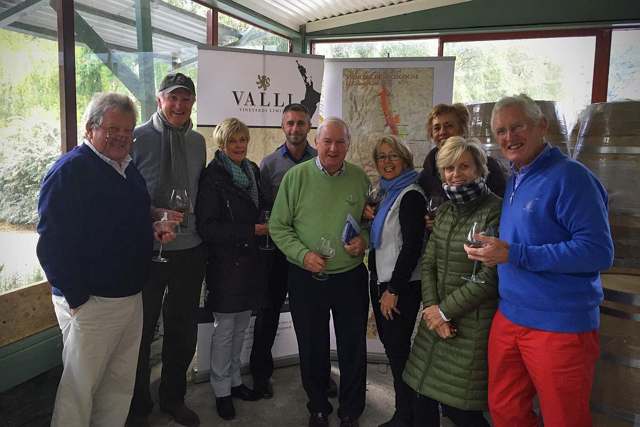 This tour can be fully customised to suit your preferences, and bookings in advance are essential. TOUR DETAILS: Visits 3-4 wineries, Private Tour, Fully Customisable. 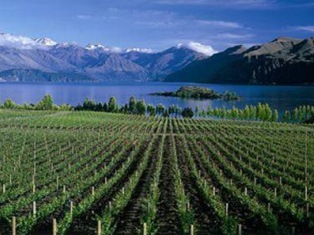 New Zealand Wine Tours are committed to ensuring that every customer enjoys their wine tour experience with us. From our bespoke, custom designed vehicle interiors, to our unique tours, every detail is designed with your comfort and enjoyment in mind.